Naushad Ahmed Khan, president of the Indian Young Lawyers Association, whose women members filed a PIL in Supreme Court seeking entry of females into Kerala’s famous Sabarimala temple on Friday approached the apex court seeking to withdraw the petition citing threats to him. Khan said he had received hundreds of death threats, including some to blow up his house, if he did not drop his plea in the SC and hence sought protection for his life. The court said it would consider Khan’s plea for security on the next date of hearing. Khan said he was not directly involved in the PIL. Recently the court had questioned the age-old ban on entry of women of menstrual age group in Sabarimala temple, saying it was a public temple and everyone needed to have “the right to access”. Khan said he was “trying to explain” to the callers that he was not involved with the PIL, and the plea could not be withdrawn as the court was looking into the matter. Police had set up a picket near Khan’s house, and transferred the complaint to the Special Branch for “analysis of the current threat perception”. 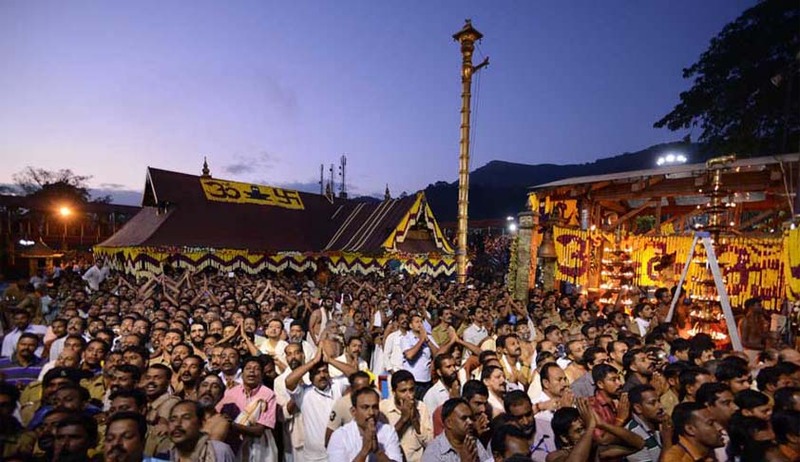 Taking a swipe at religious customs and temple entry restrictions violating women’s constitutional rights, the court had said no temple or governing body could bar a woman from entering the Sabarimala shrine in Kerala where lakhs of devotees throng every year. “Why can you not let a woman enter? On what basis are you prohibiting women entry... What is your logic? Women may or may not want to go [to worship at Sabarimala], but that is their personal choice,” Justice Misra asked. When the board countered that the prohibition was based on custom followed for the past half-a-century, Justice Misra asked what proof it had to show that women did not enter the sanctum sanctorum over 1,500 years ago. Constitution rejects discrimination on the basis of age, gender and caste, he observed.